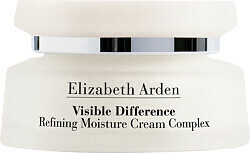 Cushion your skin with the moisturising touch of the Elizabeth Arden Visible Difference Refining Moisture Cream Complex. This pampering day cream provides skin with a barrier to prevent moisture loss, with a rich and emollient formula that deeply nourishes and moisturises the skin. Fine lines and dryness will be visibly reduced and the skin will look noticeably improved in just 14-21 days. 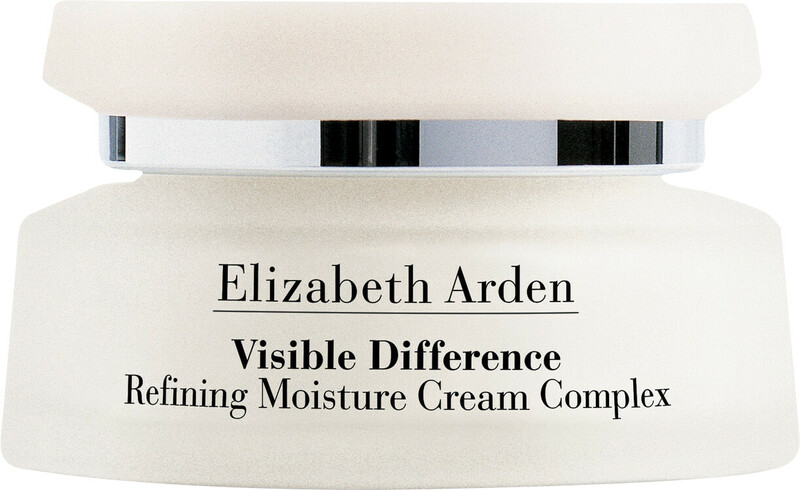 A pleasure to apply, the Visible Difference Refining Moisture Cream is delicately scented with notes of freesia, mandarin, rhubarb and pineapple to uplift your mood. Apply the cream daily, morning and evening to face and back in light upward strokes until fully absorbed.